If you would like to explore the surrounding neighborhoods of Roseau for additional dining options, local clubs/discos, the beach etc., taking a local taxi service may be a great option for you. This may be particularly useful if such locations fall just short of walking distance or if you would like to travel in the evenings or on weekends (when local buses do not run regularly) and if you do not have a rental car. Bear in mind that this option is best if you do not require a tour guide/ tours. 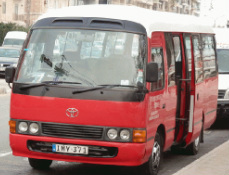 This will allow you the flexibility to travel around and near the capital on your own schedule. So why not leave the driving at home and use a local taxi service! If this service is needed, just let us know and we will assist you in finding a great taxi service.